Using Ticketer’s sophisticated ETMs, Reading Buses has transformed its service to offer a multitude of payment methods, embracing contactless, QR coupons and m-Ticketing, as well as Schedule Adherence functionality. This forward-thinking operator has become the first town-wide bus network outside of London to go completely contactless. 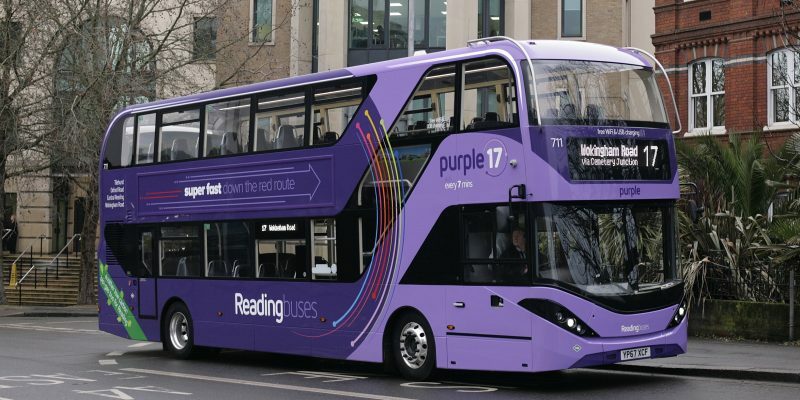 As an innovative company, Reading Buses wanted to improve passenger experiences and modernise its service by implementing a digital ticketing strategy. Reading Buses uses Ticketer ETMs, including queue-busting handheld devices, to offer passengers a variety of payment options. This makes travel easy for passengers, and the Schedule Adherence feature keeps services running efficiently. Reading Buses have been transporting customers in and around Reading for over 100 years. Whilst known to have one of the most modern fleets of buses in the country, the team knew they needed to incorporate contactless payments onto buses to meet modern passenger needs. 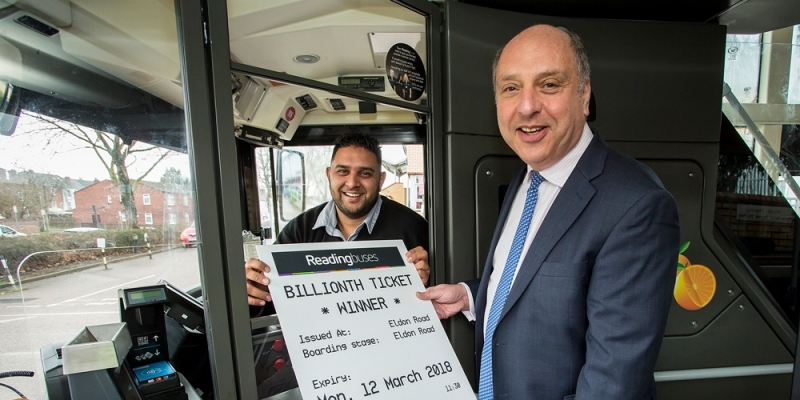 Reading Buses switched its entire fleet of 160 buses over to Ticketer after a trial of the Ticketer Electronic Ticket Machines was so successful it was cut short to make the change sooner. It was the first town-wide bus network outside of London to go contactless. Reading Buses is proud of its use of industry-leading technology and the operator uses the Ticketer system in a variety of innovative ways, fully challenging its functionality and flexibility. We developed a new contactless payment system, enabling Reading Buses to be the first independent bus operator to offer contactless across it’s entire fleet. Using the Ticketer system, which includes an integrated card reader for all card types, passengers can pay using a contactless bankcard, ENCTS concessionary pass or other ITSO smartcards, as well as Apple Pay and Android Pay. Passengers can now pay for their travel using whichever method suits them, including contactless and m-Tickets. Not only is payment quicker, passengers can also be sure that they are automatically buying the cheapest possible rate for their travel, whether they are an occasional user or regular commuter. Reading Buses was amongst the first operators to use the new Ticketer handheld units, which have all the same features as the on-board ETMs just in a more compact form. They are used to sell tickets to passengers waiting in queues before they board the bus. This has helped to reduce queues across the city at peak times, especially at notoriously busy spots such as around the University during welcome week or at the Madejski Stadium for Reading FC home fixtures. We developed an additional, fully functioning portal for Reading Buses, used to test new routes and changes in the validity of passes and tickets before they go live. This has enabled Reading Buses to be even more innovative and flexible. It is also used for training purposes at the Reading Buses Academy, and as a test bed for trialling the ever-evolving suite of features made available through our ETMs. Reading Buses is now able to add a wide-range of new smartcards and customise tickets to include logos and advertisements, creating an experience that’s personalised to passengers and their journeys. All of which can be deployed remotely to all buses within minutes. Ticket data is available in the back office within seconds of issue, and management information generated by the Ticketer system is used by the operator to make data-informed decisions for route planning, route profitability and bus tracking.